On Wednesday, April 18th 2018, our latest introduced card Sniper Squad will no longer be available as a guaranteed reward for two wins in Draft mode. The card will be available via spinning and crafting, though. The Draft event, however, goes on & a second new card will be available! The A.I.M. Bot is a rare Drone Walker, that comes with the Automated Intelligent Murder system pre-loaded to gain Marksmanship. Our Community Manager Erythais will talk about this card and more live on Twitch as a guest on Swongo's stream on Tuesday, April 17th at approximately 3pm PST (10pm UTC). Last Saturday, fans of RushSecond had many wins to celebrate. The member of Inception Esports lost 4 games in 4 matches only, all to katt. The latter was his opponent in the grand finals again, after RushSecond beat katt 3:2 in the winner's bracket finals earlier. After another Best of 5, RushSecond managed to achieve a 3:2 again and secured the 1st place. Interestingly enough: katt, the winner of the first King Puff Cup tournament of Season 3, made it to the grand finals again and showed that competitive Minion Masters players have to take him into account when it comes to preparations for tournaments he's participating in. To give you an overview, here's the finalized bracket from last Saturday. If you missed the live stream for whatever reason: here's your VOD. The tournament was casted by Jarvo10 & Sinilil and according to Jarvo10, he's considering to host more and bigger tournaments in the future. This first tournament was offering a $200 prize pool, while $100 came out of his own pockets. We want to thank Jarvo10 for his effort and massive support! ...the second tournament of King Puff Cup Season 3 on Saturday, April 21st at 13:00 UTC! 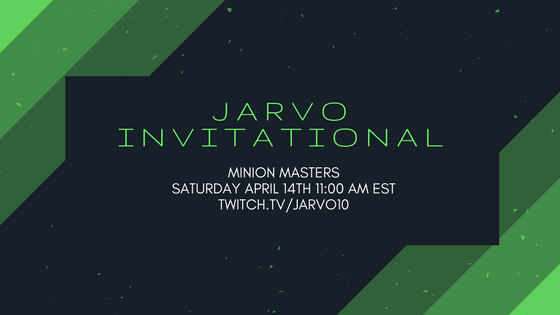 While Jarvo's tournament was an invite-only event, the KPC staff welcomes players of every rank to participate in a tournament with a professional format for a prize pool of $350 sponsored by BetaDwarf Entertainment. Take your chance and sign up today! But don't forget to read the official announcement, carefully ;) If you have any questions, feel free to join our Community Discord server. That's it for today, Masters! We're sure some of you have to prepare themselves for next Saturday and if you haven't done so already, start a Draft and get the Sniper Squad while it is still available for two wins!